It was the Winter of 1988 and the Olympic Games were taking place in Calgary. Cold War battles were still being fought between the USA and the USSR not being won by soldiers and weapons but rather through athletes and propaganda at events like the Olympics. In this era of super powers fighting for Olympic medal supremacy a "heroic failure" emerged in Eddie the Eagle winning the admiration of people around the globe following the events in Calgary and reminding the world what the true spirit of the games was all about. 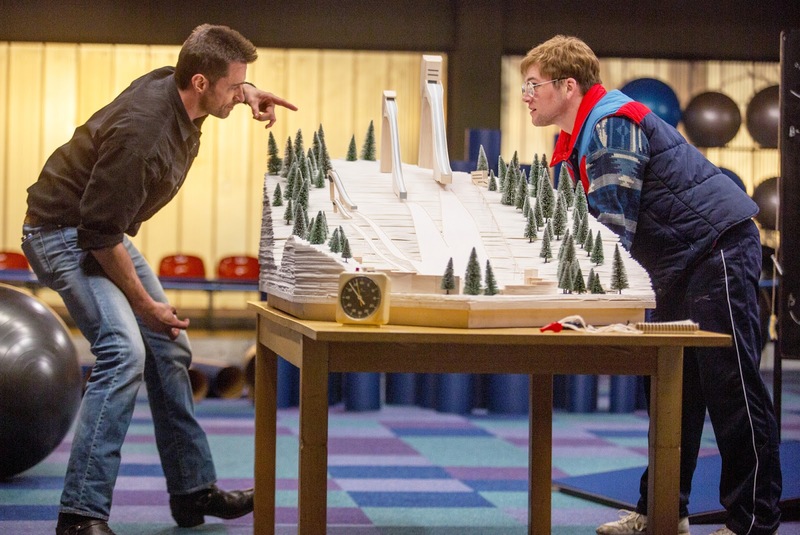 In EDDIE THE EAGLE, Taron Egerton co-stars alongside Academy Award Nominee Hugh Jackman in a high-flying, feel-good story inspired by true events. Egerton plays Eddie "The Eagle" Edwards who became the first competitor to ever represent Great Britain in Olympic ski jumping and was known more for stunt jumping cars and buses than competing in athletic events. Competing against significantly better trained and financed competitors, Edwards finished last in both of his Olympic events but was considered an underdog hero based upon his efforts to qualify for the Calgary Games and his bravery in taking part in the very dangerous sport of ski jumping. On June 14, 2016 EDDIE THE EAGLE is being released on Blu-ray & DVD. A Geek Daddy wants to help one of our blog readers or social media followers relive the Winter of '88 by giving away EDDIE THE EAGLE on blu-ray. To be eligible for this giveaway you must follow @Geekdad248 on Twitter and retweet our original contest tweet embedded above above before June 13, 2016 @ 11:59 pm EST. Must be a US resident over the age of 18 to participate. No P.O. Boxes allowed for delivery of the prize. One entry per person and winner will be selected from all eligible entries. Twentieth Century Fox Home Entertainment will be responsible for the delivery of the dvd to the selected winner. By participating in this promotion you waive any liability of any kind against the publisher of this blog. A Geek Daddy is providing this giveaway contest as a benefit to our readers and social media followers. Finnish ski jumper Matti Nykanen and Dutch speed skater Yvonne van Gennip tied as individual medal leaders each capturing three gold medals apiece. Edwards real first name is Michael. Eddie is part of the nickname he was given while competing in the Olympics. When Michael arrived in Canada a fan held up a banner reading "Welcome to Calgary, Eddie The Eagle" which a TV news crew recorded causing the nickname to take off.